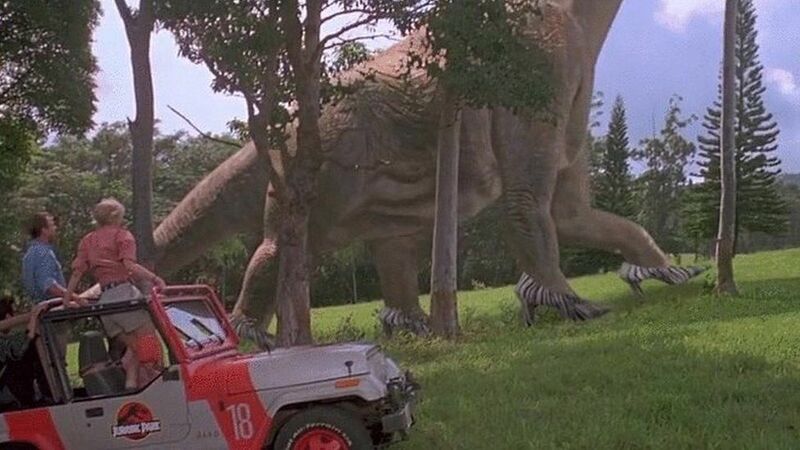 Someone has made a parody video of Jurassic Park and we have to admit it's pretty funny. 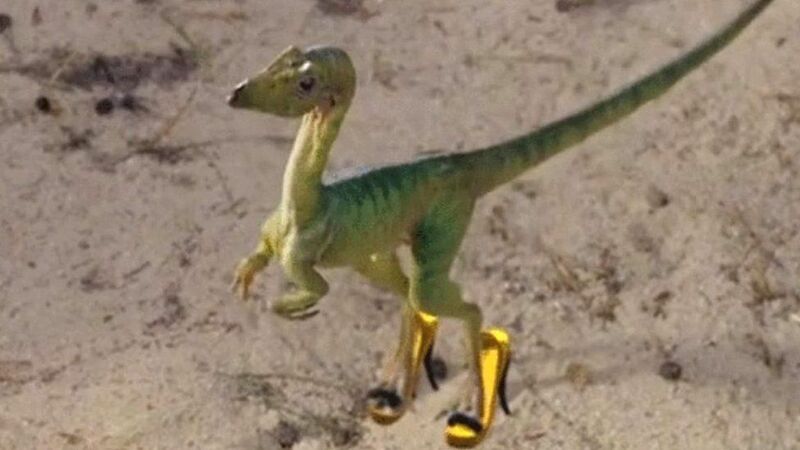 It features dinosaurs and characters from the 1993 classic wearing high heels. Wonder why? Well it might have something to do with the fact that one of the leading characters in Jurassic World, Claire, managed to out run some of the dinosaurs, wearing nothing but white heels. And that is a feat (see what we did there?). One tweet summed up the video as "The parody trailer is hilarious omg ROFLMAO." 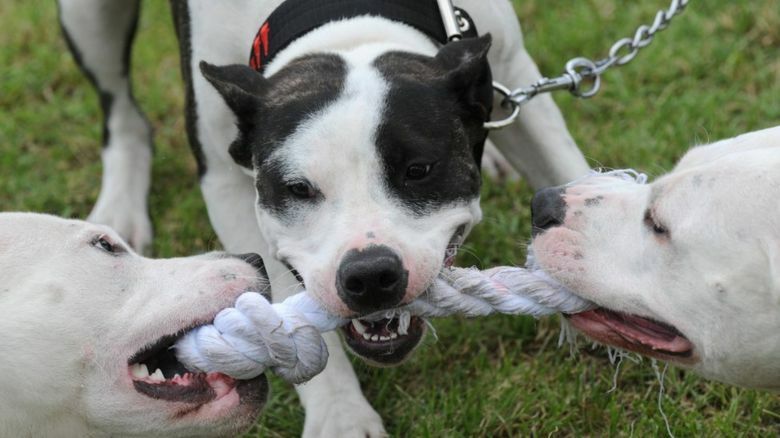 We've picked out some of the best pictures. 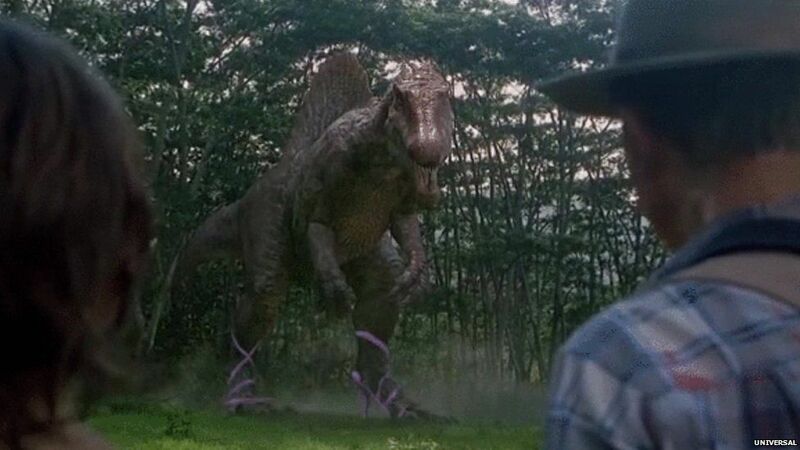 This Tyrannosaurus is wearing a nice pair of pink heels. Ladies, and some men, know how hard it is to walk in heels. 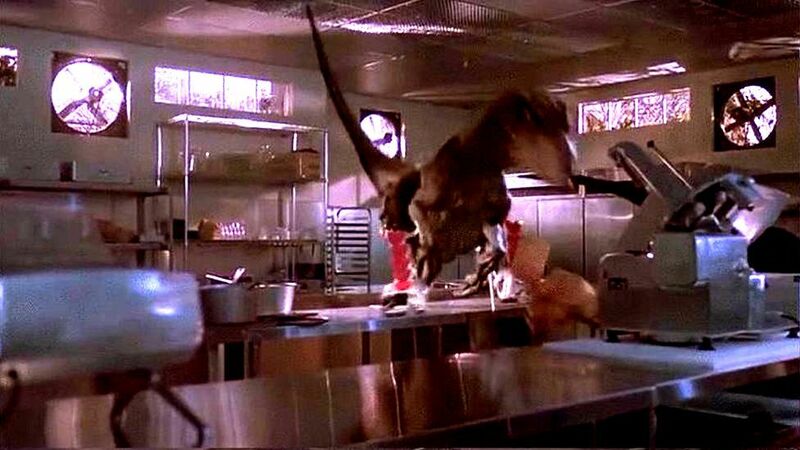 But this scene in a kitchen looks even better on the video as beast slides across the counter. There was no size restriction to the types of dinosaurs wearing fancy shoes, or size restriction to the height of the heel. This giant is rocking a very big pair of Zebra prints. So many of the iconic scenes of the movie have been animated with a classy (and sometimes questionable choice) of high heel. 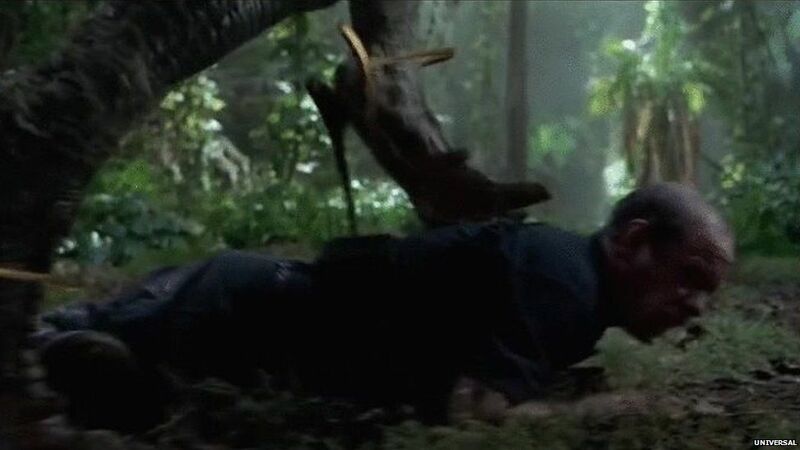 However, we have to say that this scene of a dinosaur walking across the back of a man in the wood is a favourite. Our last bit of advice, watch until the very end.